Download Your Copy Now for FREE.. The one very crucial factor that you MUST be aware of before buying. How to find out what the other houses in the area sold for so you can compare prices. The information that most buyers wish they had known before they made an offer on a home. Some proven haggling tips that will help you get the price you want. 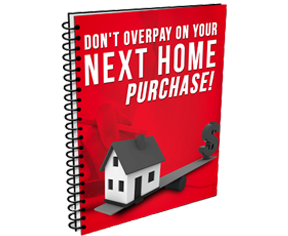 Do you want to be able to pay the price you want for the house of your dreams? Then you need to read this report and make sure you have all of your bases covered! This guide is written especially for you, the buyer, so that you won't make the mistakes that 90% of buyers make in today's market. You'll be happy you read this short report before you made any offer on any home! Just enter your email address in the box to the right and you can instantly print your FREE report! Provided By Charles Walker of Lifelong Realty, Inc.